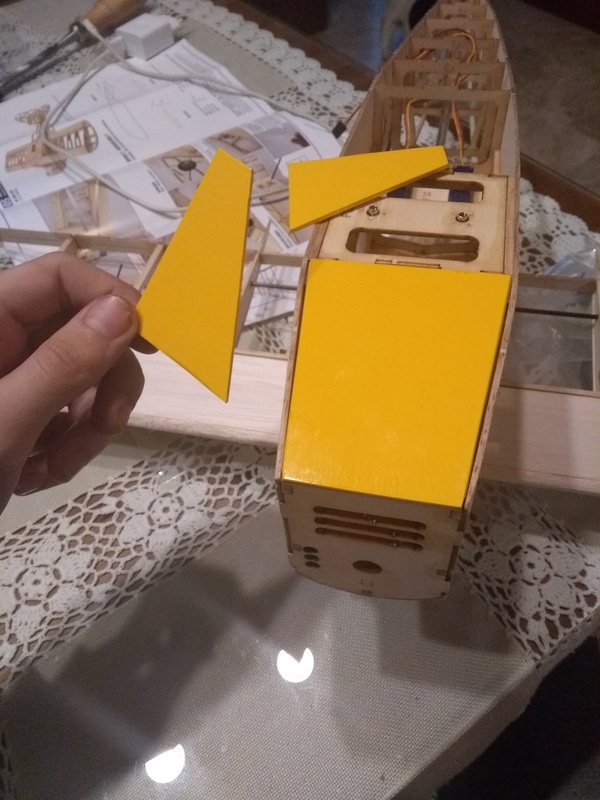 I think I solved the problem with the wings, now I have to make the leading edge of it by using sandpaper. Any suggestion? Sandpaper alone is going to create a LOT of dust. A balsa planer will shave excess wood quickly and then you fine tune it with the sandpaper. Much less mess that way, too. Those WM pieces look like rib caps. They go on top of the ribs making a wider area for the covering to sit on. Not certain in this airplane though. 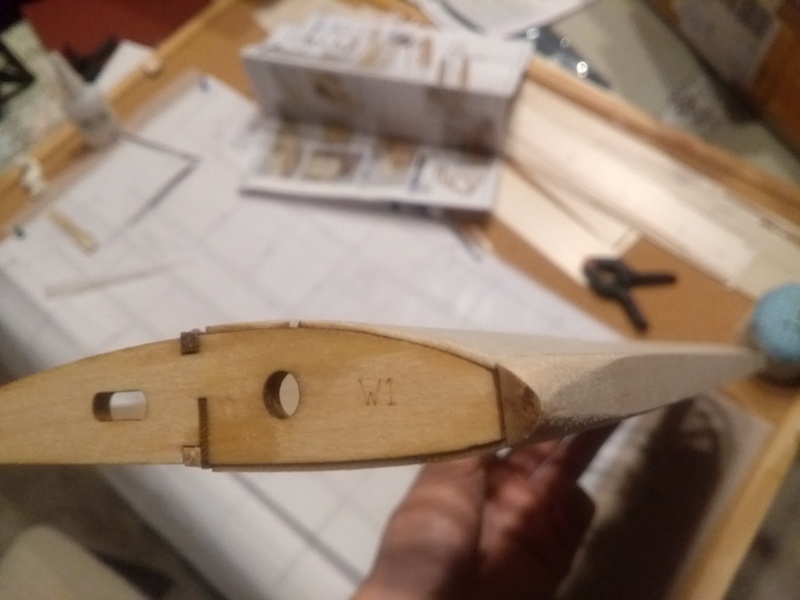 Now it's time to clean this up, and then I'll make the ailerons. Also, I discovered how the WM pieces work. As @TooJung2Die said, they have to be placed on the top and the bottom of the wing ribs. Thank you! 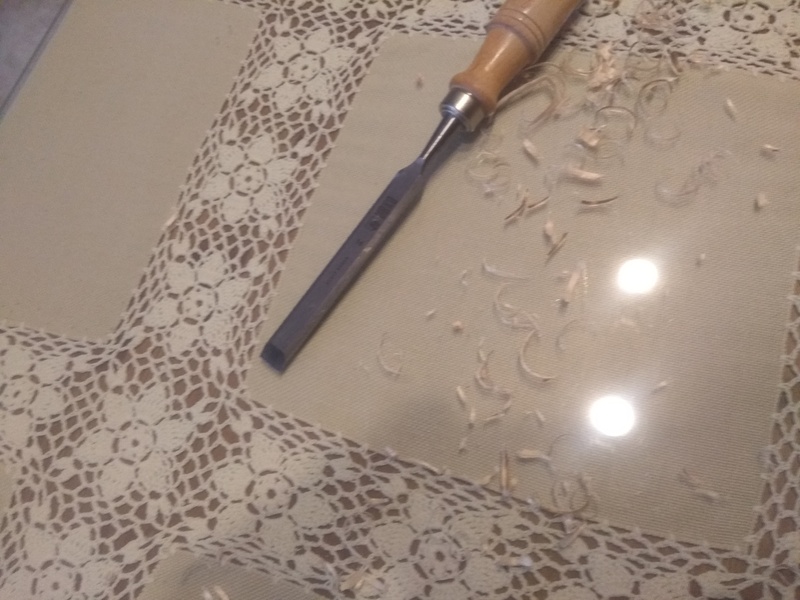 If you accidentally take too much off or make some gouges in the wood you can always use some balsa filler to hide the damage. It’s a chisel, I wouldn’t have thought about using that for shaping that, smart . Looks great by the way . Today I was a bit busy, so I couldn't do that much. But I covered a few parts for the first time! They don't look as bad as I thought. I'm also a bit scared for the wings. Since they have parts that are "empty", I made pieces with holes so I could practice the covering. The problem is that the covering film above those holes isn't enough tense. If I touch it with my finger, the film moves a bit. I saw in the internet that I had to use more temperature so the Oracover gets smaller, but I think it didn't work, or maybe I'm doing it wrong. I'm using a covering iron without thermometer, so I can't see the temperature. Any ideas? The build is looking good so far. @CarolineTyler maybe you can share some exprience about covering and help @MarioGdV out a bit? You've done a great job with your covering lately . Covering is looking great! And yes, you're on the right track with using higher temperature to get it to shrink up. I sometimes use an infrared thermometer to figure out how hot the iron is, and then read the product literature to see what the shrinking temperature is. Mostly I just crank the iron all the way up and start by hovering the iron over the open space areas and then if that doesn't make it start shrinking, gently and lightly run the iron over it in circles, never letting it stop too long in any one place. It is a bit of a 'learn by feeling / doing it" kind of activity, and when using a new roll of covering it's always best to try it out on a test piece, cause every covering brand acts differently when they start to shrink and do so at different temperatures. Sometimes they go really fast, other times they get a little saggy, and then tighten up when the cool down. 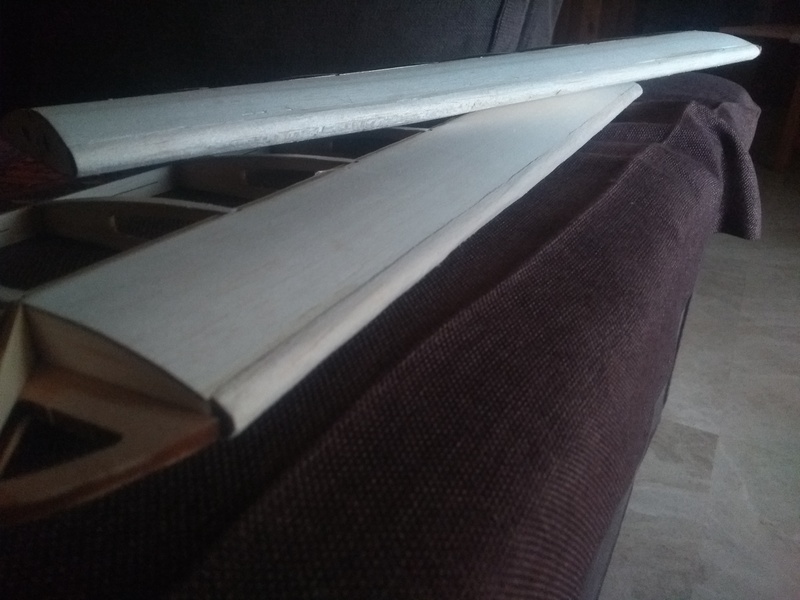 The first wing panel I did, which has a lot of exposed ribs is not nearly as good as the second, so it's definitely a learn as you do thing. I did a couple of test bits beforehand to determine a good glue activation temperature and the higher shrink one, my iron is a basic one with just a manual dial and L / M / H areas marked. The box it came in gave approximate temperatures for these areas. The cotton sock on the iron made it a simple thing to keep the iron moving freely. Oh! and work your way up a piece so covering overlaps are held down by air movement and sealed from wet/fuel (should you build a gasser). A lot of balsa builders rub extra wax from a candle over the plans the further protect them. Try steaming your sheets that need to bend, that will help them be less brittle. Thank you all for the help! My iron also has a temperature regulator (with L/M/H areas, like the one that Caroline has), and after testing the covering in other pieces, I think I know approximately the temperatures. When it's between Low and Medium, the Oracover starts to get sticked to the piece, and if I increase the temperature, it starts to shrink. At maximum temperature, the colour changes for a few seconds and it gets really tight. I think I'm ready to start covering the plane. 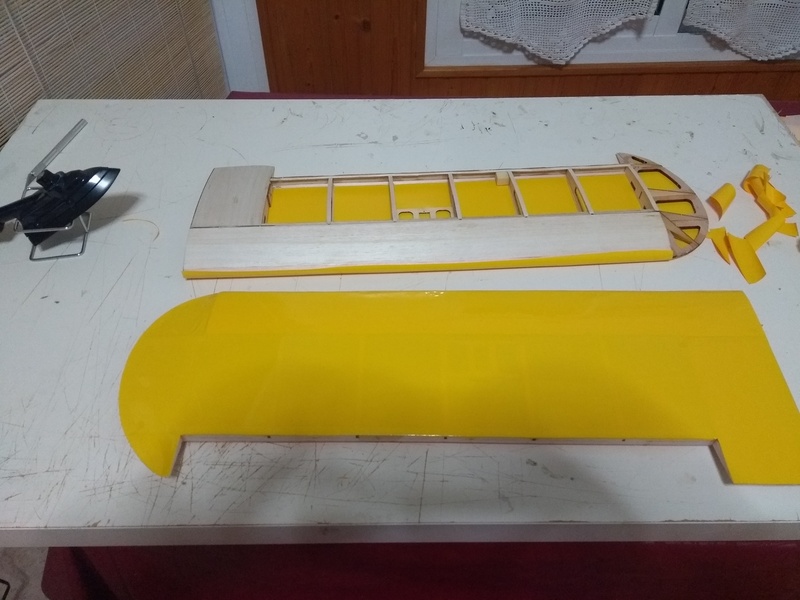 Also, I finished al the pieces, should I cover the ailerons (and the elevator and rudder) before I install them? 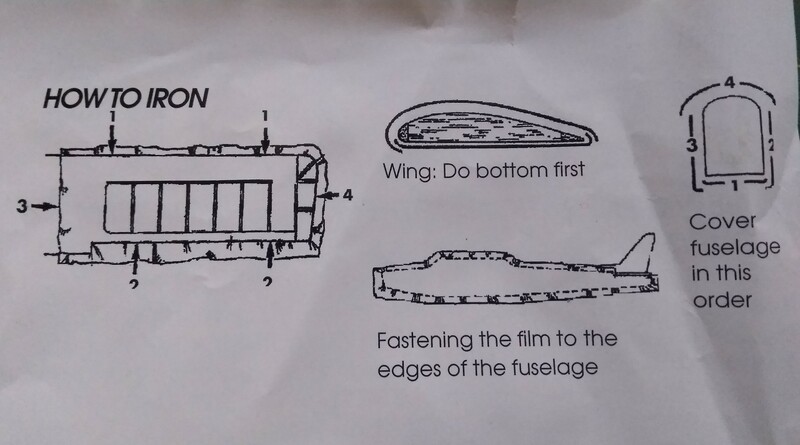 Thanks, I was a bit scared because I dind't know if after covering it, I would be able to install the hinges. Thanks @CarolineTyler for helping @MarioGdV out. That right there is a true FT family spirt . Where should I cut the covering film that is in the leading edge? Right in the middle, so it connects with the Oracover that will be on the top?